Type A Shore Hardness Tester is suitable for hardness testing of general rubber, synthetic rubber, vulcanized rubber, soft rubber, leather, wax etc. The head of hardness meter is installed on the bench, easy and accurate measurement, the hardness meter also can be removed to measure at the production site. Looking for ideal Shore Rubber Hardometer Manufacturer & supplier ? We have a wide selection at great prices to help you get creative. 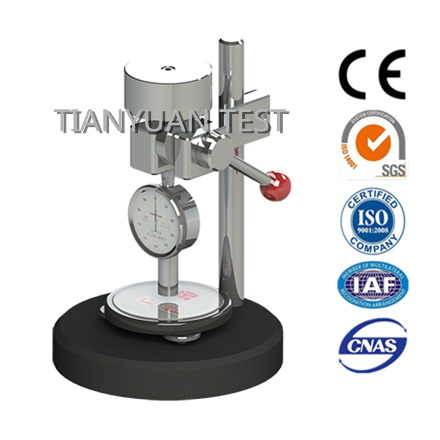 All the Rubber Hardness Tester are quality guaranteed. We are China Origin Factory of Shore Plastics Durometer. If you have any question, please feel free to contact us.